Naval Kindergarten was commissioned in INS Rajali in June 1992. It started functioning in the old boys’ hostel since 03 January 1994. The School Started functioning from its own building since April 2002. The School was up grated to Naval Public School on 07th April 1997, as a co-educational institution and re-christened as Navy Children School (NCS) in April 2005. 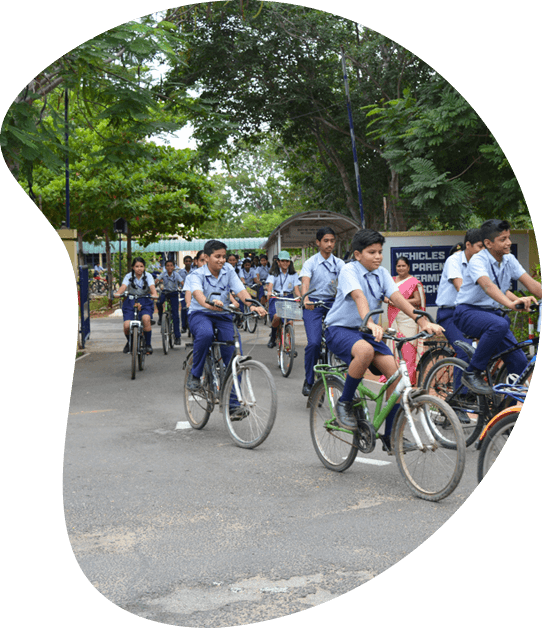 The school affiliated to CBSE up to Secondary School. The main aim of the school is to provide ‘child centered’ quality education. It lays great stress on the all – round development of the students through play way method of teaching & learning for KG students and activity based interactive learning for Primary Students. In addition, to give knowledge, it ignites a spark in their minds in order to develop through – provoking processes and bring out the best in each one of them. The school endeavors, with the co-operation of the management and parents, to create the right environment, to achieve its objectives. The School functions under the aegis of the naval Education Society (NES), New Delhi. The Commanding Officer, INS Rajali is the Chairman of the Governing Body. The day-to-day management is looked after by the School Management Committee, the Vice Chairman, who is the Senior Education Officer, INS Rajali.